We went away for a few days last month and invariably visited some small towns in the area around Algonquin Park. When we were in Huntsville, we happened to walk past this cafe. I know that often if you grow up with a name or a place, it usually doesn't strike you as odd. However, a complete stranger, may look at something from a totally different point of view. That's what happened to us. 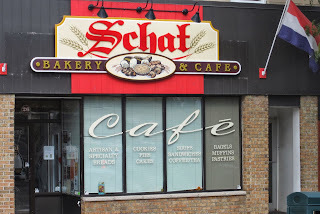 We read the name of this cafe and thought that maybe it wasn't quite the right choice!! 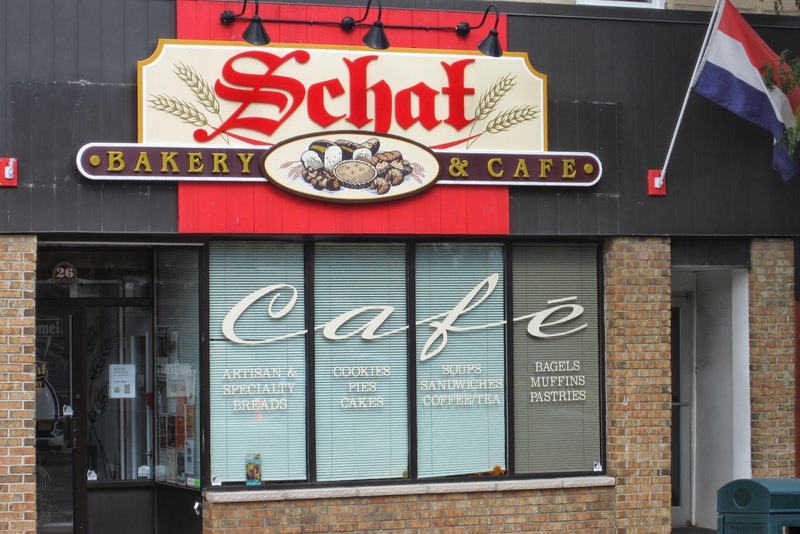 The owners were perhaps thinking, shaft, as in shaft of wheat, however, it looks and reads more like shat - enough said. I googled a few sites and found a number of very humorous listings of business names. It's all accidental humour, but funny just the same. The Huffington Post lists these. There are another 25 here from Ned Hardy and a few more from the Business Pundit. Finally another 25 from MSN. There are a few in Toronto, that missed the mark, as well. We have a "Wing On" funeral home in Chinatown and an Italian - Canadian plumbing supply house called Can-aroma. There are more, but these just happened to come to mind. Please post any that you have come across. I don't know if I've seen any as good as the ones in the Huffington Post blogarticle. There are some even better ones, but I can't say what they are.